Cook vermicelli-cobweb - a real meal, it quickly softens and turns to mush. But fried vermicelli is another matter. It is fast and vermishelka one to one. For making pasta you can take a shallow pan. Preheat a frying pan vegetable oil. 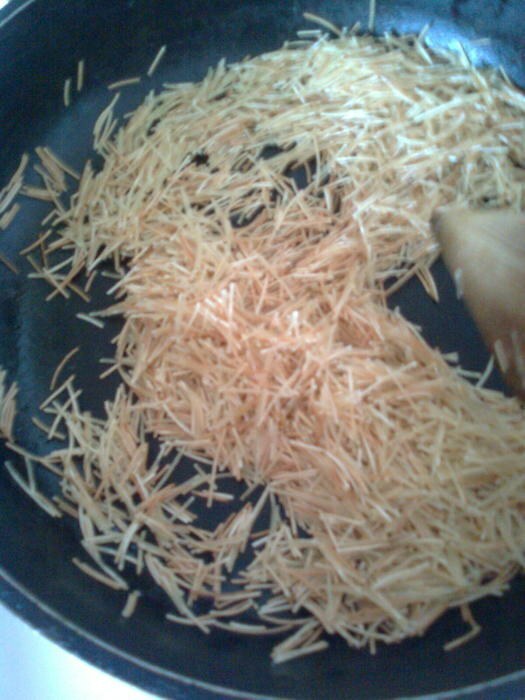 Pour the vermicelli into the pan and fry until Golden brown. Then pour the noodles with boiling water and salt to taste. Reduce the heat to small and cook the noodles until all the water is absorbed. This takes about 5 minutes. This pasta can be served as a separate dish or as a garnish to meat and meat products. You can also prepare this pasta with different dressings.